ICC World Cup Qualifier 2018 started in 4th March, 2018 where total ten teams have participated. They were divided into two groups where each group contains five teams. West Indies is one of them which is placed in group A and qualified for playoff as the top point holder. In the first match of Super Six, they faced Afghanistan. In the match, Afghanistan won by 3 wickets against West Indies. It was very first time for West Indies to face defeat in the ongoing tournament. They were the favourite between Afghanistan and them but the Afghan team made things possible. However, West Indies are in bad luck that they failed to qualify for the upcoming event of ICC World Cup 2019 directly. They have failed to place themselves to keep among best 8th considering ICC ODI ranking. So, they have to pass the qualifier round to take part in the main event. But the opponents are too many. There are only two places are available in upcoming ICC World Cup 2019 and for them tital ten teams are competing. Though West Indies are the more balanced among them but however, they faced a defeat against Afghanistan. 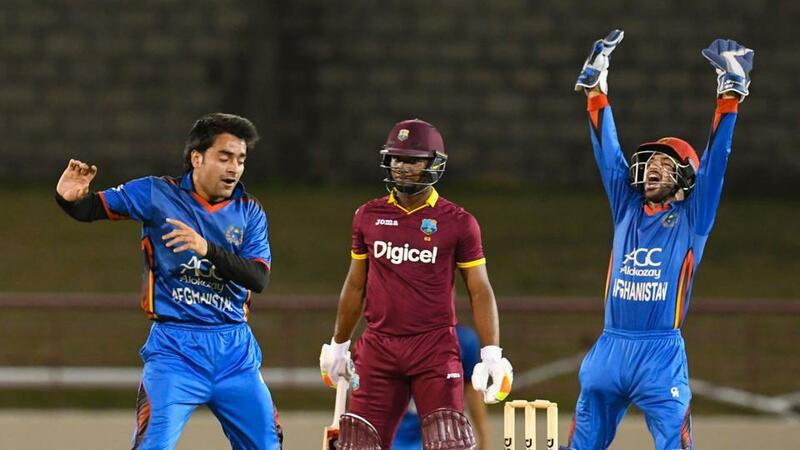 The match between Afghanistan and West Indies which was the 1st match in Super Six round staged in 15th March, 2018 and the venue was Harare Sports Club. It was a ODI competition where for Windies team Keemo Paul made his ODI debut. In the match, West Indies got the toss luck but decided to bat first instead of bowling. So, Afghanistan had no choice but came to bowl first. They bowled so well and maintained proper line and length. The Windies team played full 50 overs in the match but presented only 197 runs in front of Afghanistan. Shai Hope scored 43 runs highest for West Indies. Mujeeb Ur Rahman took three wickets for Afghan team. Through the match, Mohammad Nabi became the 1st bowler of Afghanistan to take 100 wickets in ODI cricket. Later, Afghanistan came to chase the score. The score seemed easy to chase but the ground was basically bowling favoured. There were only a little for batsmen. So, Afghanistan had to fight hard to bring the victory and they did it. They lost seven wickets in 47.4 overs but brought back the glory in their camp. Rahmat Shah scored 68 runs highest for Afghanistan. For Windies team Jason Holder took three wickets so far. Mujeeb Ur Rahman received the player of the match for Afghanistan later.